There has been a major positive shift in the lamb trade this week with numbers tightening and prices rising, according to IFA National Sheep Chairman Sean Dennehy. He said some factories are paying €5.15/kg to get lambs this week and some finishers are holding out for €5.20kg. In addition, he said weights were moving up to 23kgs in some deals. Sean Dennehy said in order to meet demand and get lambs in recent days, some wholesalers had paid up to €113 per head for 46kgs lambs, which is the equivalent of up to €5.30/kg. He said farmers selling need to dig in and demand prices well above the lower quoted factory prices. 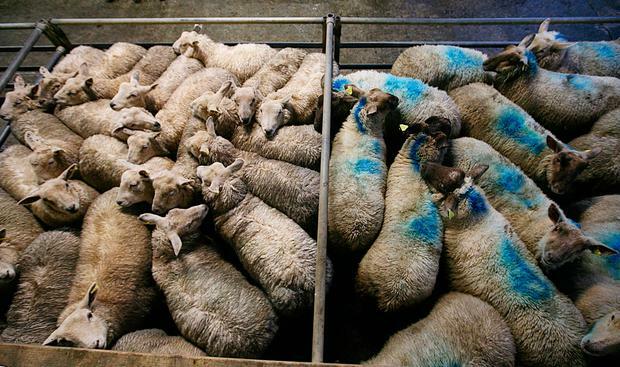 In addition, he said the ewe trade had also moved on with top prices of €2.80/kg paid. The overall lamb kill is up 69,745 head to November 25th this year. The major increase is in the ewe kill which is up 57,834 head, while the mid-season lamb kill is down 9,199. Sean Dennehy said with the losses at lambing and weather-related difficulties in the snow last spring, supplies for the remainder of the year should be tighter. Sean Dennehy said a unique feature developing in the lamb market in the next number of years is the convergence of the main Christian festival of Easter and the main Muslin festival of Ramadan. He said for 2019, Easter will fall on April 21st and Ramadan will commence 14 days later on May 5th. He said this should drive very strong demand into April and May. He pointed out that the second major Muslin festival if Eid takes place on August 10th in 2019. The IFA Sheep Chairman also pointed out for the next five years from 2019 right through to 2024, there will only be a one to two-week space between Easter and Ramadan. He said this should have significant implications for market for both early lamb producers and hogget finishers for the next five years.